Motor and pump assembly leaks. 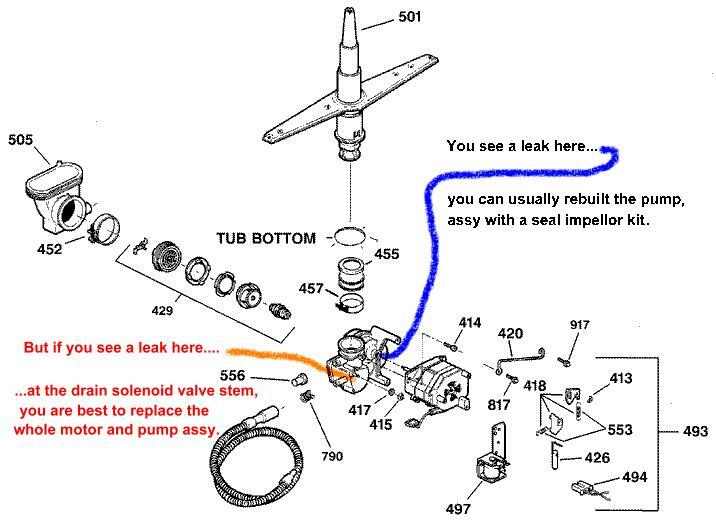 If you see water leaking out where the plastic body and metal motor part comes together, sometimes replacing the impellor and seal kit will fix you up. If you see water leaking out of the drain valve stem, usually best to replace the motor and pump assembly. For not filling with water problems, rusting rack problems, please see the general dishwasher pages linked here.